The first teaser trailer from Ian Boldsworth and Barry Dodd's movie has dropped. The 28-second-long clip looks and sounds stunning, and fans who are excitedly awaiting the film's release have been commenting how much they love the tease. The film carries on from the third series of the duo's Chortle Award nominated podcast, The ParaPod. 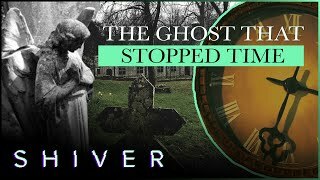 Ian and Barry continue their debate of the paranormal as they travel the UK visiting some of the most haunted and mysterious locations the country has to offer. Although principle photography has wrapped and the film is now being edited, we don't know a lot about the project, with both Ian and Barry keeping their cards close to their chests, but we do know a full trailer is coming soon. All we know is that the movie is going to be unscripted, but not unplanned. It's not going to be a documentary as such, and neither is it a flat-out comedy film. Barry has teased that there will be a big moment in the movie that makes him question his belief in the paranormal. The teaser video, which is set to a reworked version of Thomas Van Der Ree's theme tune to the podcast, doesn't give much away either. 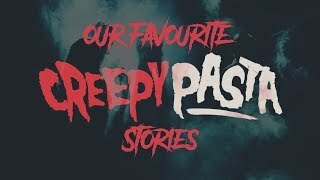 After posting the trailer online, Ian tweeted, "rare a trailer leaves you kind of knowing less than you did before watching it..." But if you're familiar with British paranormal locations then there are a few clues in the video. I need to be careful what I say here because I do know a little more than I'm letting on, but I'm sworn to secrecy. However, I can tell you how you can get your share of the secrets too. For example, there's a fleeting glimpse of the ParaPod vehicle from a distance in the trailer, as well as a close-up of the registration plate "PARA-1," but Ian has already posted plenty of photos of the vehicle on his Patreon page, so I know exactly what it looks. You can join the inner circle by supporting Ian on Patreon for as little as $1 a month, and if you do you'll get to see plenty of photos of the very cool looking ParaPod vehicle, as well as loads of other secret snaps. As I said, there are a few clues in the teaser trailer if you know what you're looking for. I'm being careful to only give away things that have been released publicly here, so I'm only referencing the ten shots which feature in the teaser trailer. Be warned, there may be some spoilers below. Although the trailer has been revealed, none of the locations which feature in it or the movie have yet been announced, but based on the video clip, I can tell you a few of them. Firstly, the one you can't have possibly missed and the one we sort of all new would be in the movie. The infamous poltergeist house on 30 East Drive in Pontefract, which featured heavily in the first series of the podcast. The trailer also features a shot of a stuffed crow hanging from a ceiling. This crow can be found in the kitchen of a pub in Gloucestershire, which is said to be one of the most haunted pubs in the UK. The Ancient Ram Inn is now closed to the public, but Ian and Barry follow in the footsteps of many ghost hunting teams, including the television shows 'Ghost Adventures' and 'Most Haunted'. Another location we catch a glimpse of in the teaser is a woodland. At first I thought it could be Pendle Hill, a forest with a history of haunting and witchcraft. But I think it's actually the mysterious Clapham Woods, a place that Barry took us to on his "Mystery Taxi Ride" in the second series of The ParaPod, although I could be wrong. Other mysterious teases of location which feature in the video clip include a stained glass window, could this be a haunted church somewhere in the UK? There's also what looks like the outside of a cozy pub, perhaps one of the hundreds of pubs that claim to be haunted across the country. A couple of shots are filmed in night vision, a pretty average looking corridor and a vaulted chamber of a castle. The night vision would suggest that these are ghost hunts, could the castle be Barry's favourite location, Chillingham Castle? Or perhaps Edinburgh Vaults. I'm sure these questions will all be answered in good time. However, there's no release date for the film yet, but Ian, who is directing the movie, has hinted that the finished film will reach fans later this year.